Can increasing your connectedness to nature have positive psychological and biological effects? According to mounting scientific evidence “the basic answer seems to be yes,” says Frances Kuo, PhD, founder of the Landscape and Human Health Laboratory at the University of Illinois, “being connected to nature does have a positive effect on your health and wellbeing.” But while it’s easy to get in touch with Mother Nature in the summer months, how do we keep it up through the winter? “Nature-deficit disorder,” a term first mentioned in the 2005 book Last Child in the Woods by environmental journalist Richard Louv, is not a medical diagnosis but rather a description of the human cost of alienation from the natural world. Problems such as attention disorders, depression and anxiety can all develop in children as a result of being separated from nature. Louv says this disengagement is being driven by a number of things: parents “keeping their children safe inside,” a continuing loss of natural surroundings in cities and towns, and an increased draw to spend time inside on computers and devices. Although the focus of Last Child in the Woods is on preventative measures for younger generations, it’s important to remember that the effects of nature-deficit disorder can also manifest themselves in one’s adult years. The good news is that the negative effects are not permanent. You can start reversing them immediately. “The mind is a limited machine,” says Marc Berman, a psychologist at the University of Michigan in a Boston Globe article. While driving in an urban setting, for instance, constantly having to navigate traffic and people, while still focusing on driving can actually dull our thinking. In his 2012 study, published in the Journal of Effective Disorders, Berman goes on to say that even brief encounters with natural spaces can improve brain performance by providing a cognitive break from the complex demands of urban life. 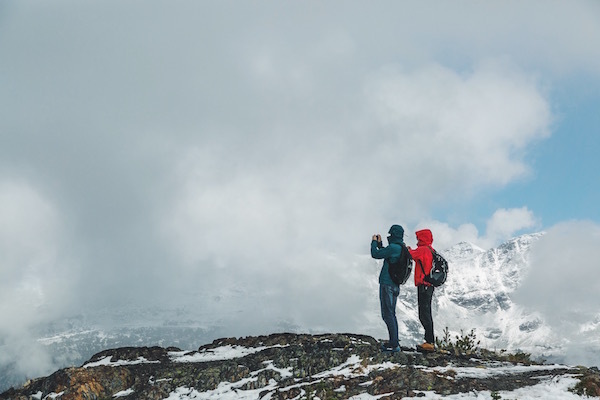 Winter Health Hack: Crowdsource real-time local hike and walk suggestions with apps like Instagram (use the search tool to filter by places) and Yonder. Both use GPS data to show you content based on your location. Whether you’re traveling for business or pleasure, you can find places to recharge as you soak up nature’s benefits. Dr. Ott, the author of the literature review Effects of Natural Light on Building Occupants notes that “most electrical light sources lack the spectral distribution needed for complete biological functions.” When we think about the human body’s requirement for sunlight, most people will instantly associate it with our skin’s capacity to produce Vitamin D (and the challenges of producing it in the winter months). However, when it comes to the human body, it turns out that each individual wavelength of natural light has a special purpose, affecting many basic bodily functions including the nervous system, circadian rhythms and the pituitary gland. Winter Heath Hack: If a winter walk just to get sunlight doesn’t motivate you, give your walk purpose. Walk the dog, take your kids, go in groups, walk to lunch or the bank, for instance. Make photography the purpose, then document your #afternoonwalks on Twitter, Facebook or Instagram to motivate others. Come winter, the motivation to take regular walks outside can be pretty low. While heading to the gym might give you physically appealing results, a study by The Peninsula College of Medicine and Dentistry found that when compared to exercising indoors, exercising in natural environments was associated with greater feelings of mental and physical revitalization as well as increased energy. Winter Health Hack: Rather than going for a short run on a treadmill, bundle up and take a longer walk at your local park. If you live somewhere it snows, buy snowshoes instead of a gym membership and start exploring local biking or hiking trails in the winter. Do you ever have something go wrong and then it’s all you can think about all day, you replay it in your mind over and over again? Researchers at Stanford University call this “rumination” and prolonged bouts can lead to increased anxiety and stress. One of their studies showed that participants who went on a 90-minute walk through a natural environment reported lower levels of rumination compared with those who walked through an urban environment. Winter Health Hack: If you find yourself in a mental loop about something that happened, or something that may happen, walk it off. Get up, grab your jacket and head for the nearest patch of green space (though it might be now covered in white). Don’t worry about where you’re going to walk or for how long, the main part is just to get going. The first five minutes will seem pointless as your brain starts to flip back to rumination, but soon the winter wind will blow your worries away. What if that feeling of wanderlust that drives us to travel, to seek adventure and new experiences is, in fact, a call from Mother Nature inviting us to join her? This winter, take time to put your nature-deficit back in the black. 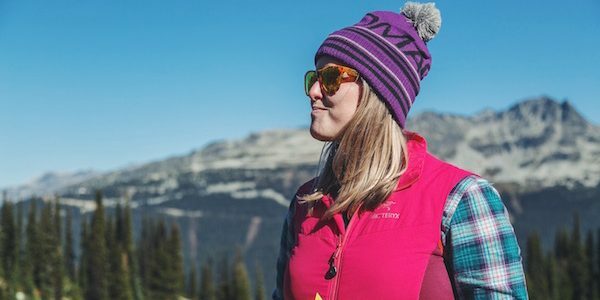 Summit Lodge is a boutique hotel in Whistler with a big goal: to improve the health and wellbeing of the plant by getting people outdoors, one person at a time. They believe that to take care of others and the environment we must first take care of ourselves. Most people will wait until the New Year to change the daily habits that could be having negative effects on their health, but they think there’s no better time to start than right now!